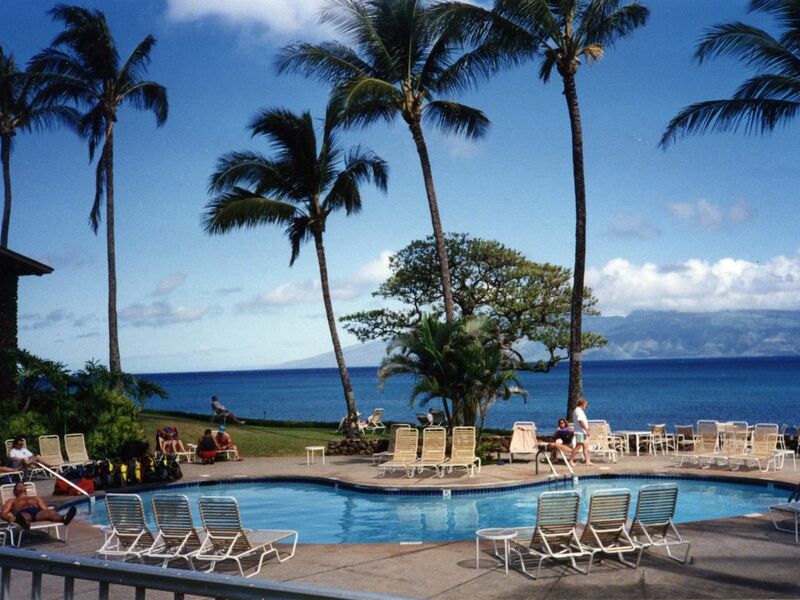 NAPILI SHORES RESORT is a 152-unit, low-rise, condominium complex located on the west coast of Maui, ten miles north of Lahaina and four miles north of Kaanapali... offering two outdoor swimming pools (one is heated), hot tub, two restaurants, and a full-time activities director. Napili Shores Resort is situated at the southern end of Napili Bay... a white sand, crescent-shaped beach... perfect for swimming, snorkeling, walking on the beach, or just relaxing in the sun. This luxury condominium is situated within a 6.3 acre tropically landscaped Outrigger Resort. H-264 graciously welcomes guests with furnishings and artwork that are casually elegant. H-264, is a second floor, 1 bedroom apartment ...that sleeps two non-smoking adults. The LANAI provides a breathtaking view of the blue Pacific Ocean, the Island of Molokai, lush tropical trees and brilliant flowers. A Check-In Fee of $75.00 is required by the resort at the time of check-in. Keywords: Oceanfront Condominium, relaxing, romantic, spacious. Terry & Linda Johnson are lifetime residents of the State of Washington. We have enjoyed vacationing in Maui for more than thirty years. We have vacationed on several of the Hawaiian Islands and various areas of Maui and find Napili Bay to be the best ! Location, location, location ... Spectacular sunsets, onsight dining and Napili Bay is an all white sandy beach, literally steps away. Several washers/dryers in the resort laundry room - for guest use only. A few cd's in unit for guest's use. Enjoy from the lanai, the ocean view, sipping your morning coffee or a romantic dinner. (2) One pool is heated and the oceanside pool is not heated. Radio, Ceiling Fans, 2 Pools (shared & one is heated), Laundry facilities for the guest's use is located below the lobby and Free Parking! Wildlife Viewing (Humpback whales arrive in December and stay until April).